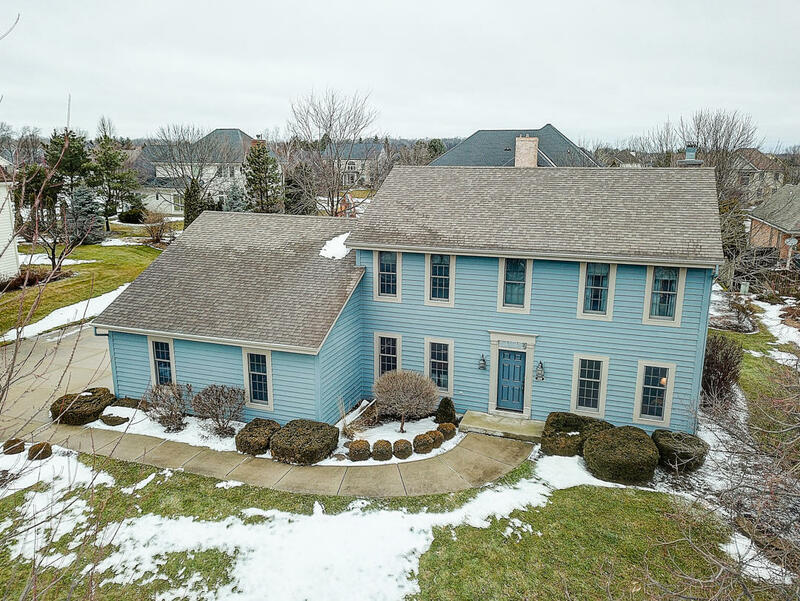 Original owners hate to leave this well cared for 4 bedroom captivating colonial that's located in a beautiful subdivision. This Gorgeous home offers a spacious kitchen w/corian counters, Island, pantry & stainless steel appliances that flows into a family room w/natural fireplace. Dining area w/french doors, crown molding ready to host all your dinner parties & get-together's! Hardwood floors in kitchen and foyer, 6-panel doors throughout. 4th bd on main level could be used as a study/den too. 2nd level features 2 generous-sized bds and a Master Bd w/private bath & walk in closet. Lower level offers an awesome Rec Room to a bar room area, to an all purpose room & a generous storage & work shop. 2+ car attached garage w/ramp access. It's a true pleasure to call this home.